Bowls range from 8″–10″ wide, depending on the flare of the lip, standing at 7″–8″ tall. 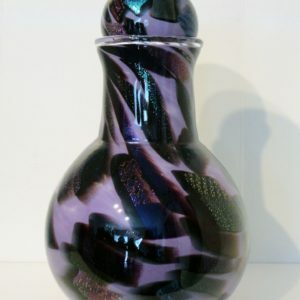 We create our hand blown glass bowls as both decorative and functional art. 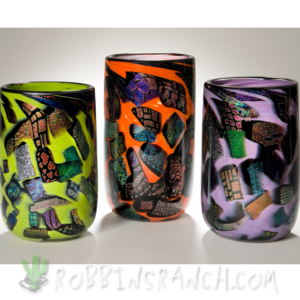 After careful planning and prep work, we render some very unique art glass. 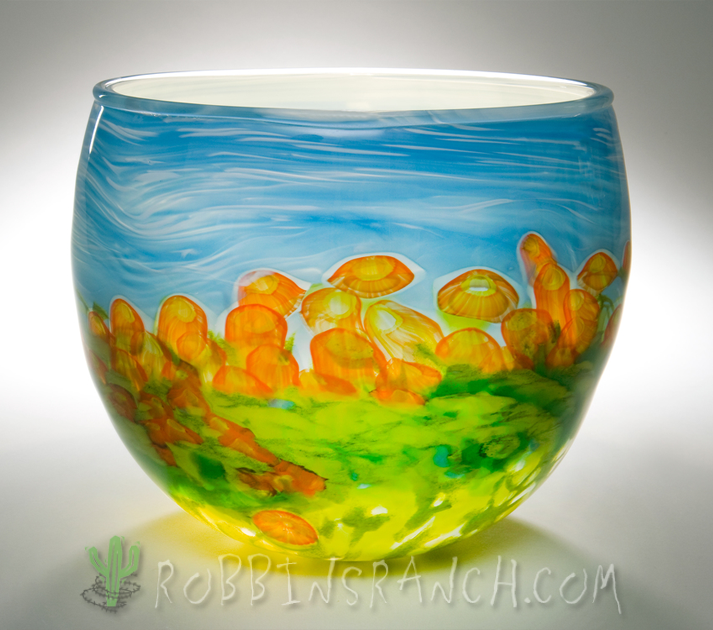 Bowl designs include Fields of Flowers, Dichroic chards on Opaques or Assorted Mixed Colors. 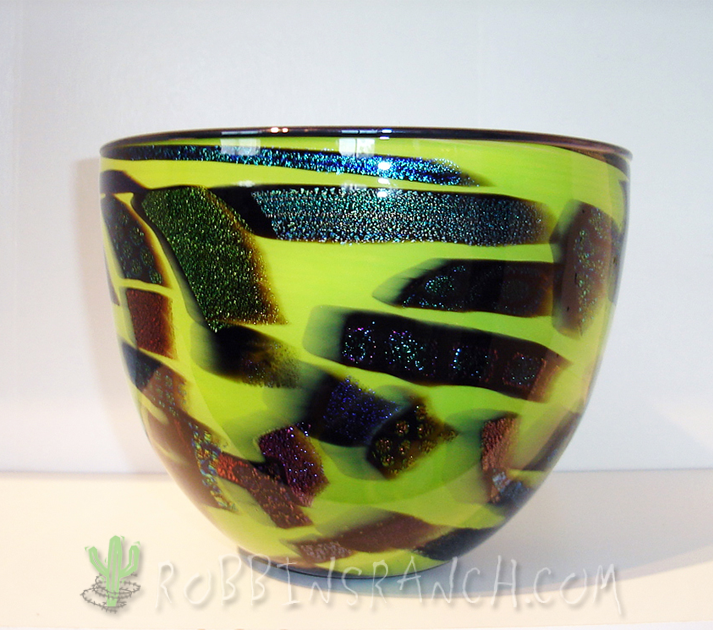 The pieces shown on this page are just a few samples of our blown glass bowls. Keep in mind there are many additional color options available. You can refer to our color samples pages for design ideas. We make each piece one at a time and tailor each order and design to the needs and requests of our customers. Feel free to give us a call or email if you have questions or would like images of the current pieces in stock.